Today I've got another indie polish to share with you. 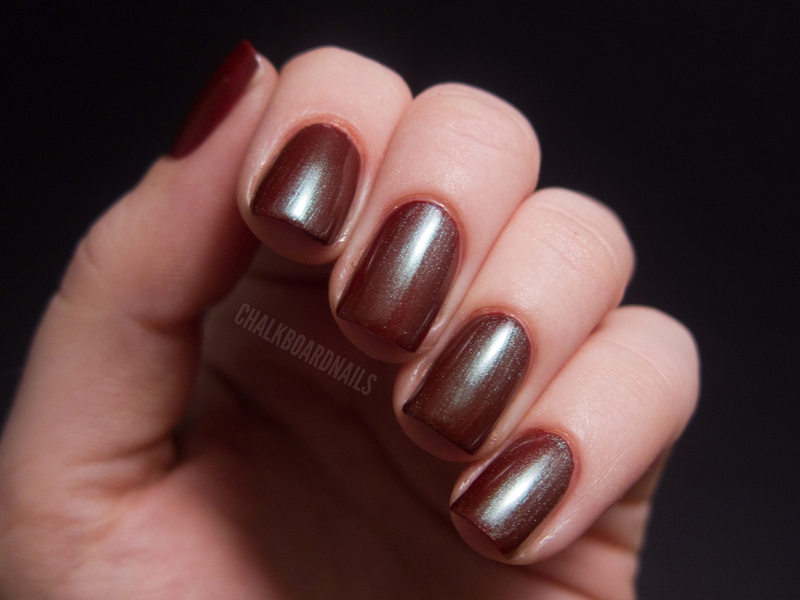 This is from a brand that hasn't been on my blog before, Liquid Glitz! It's a line of polishes from the lovely Tara and I will have more from her brand to show you in the future. The one I'm showing today is called Succulent Chocolate. 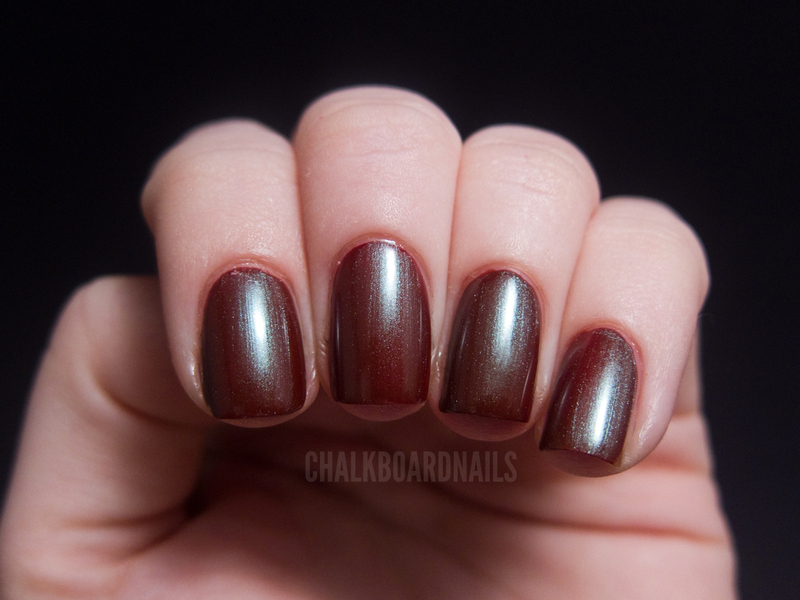 It's pretty sheer so for my swatch I layered it over China Glaze Brownstone, which was the perfect complement to the base of Succulent Chocolate. I imagine if you were to wear this on it's own you would need 3-4 coats to reach opacity. You can find Liquid Glitz on Etsy, where her 5mL polishes sell for $4.00. There are a lot more unique polishes in her shop, check it out! That is lovely! I adore the teal shimmer over the brown. Great find. It's pretty.. I love "cola browns." Looks good on you - I have trouble wearing browns that have any red to them - makes all the red in my hands come out and I looks like I do dishes for a living! Really lovely. The blue shift over the brown is gorgeous. I absolutely dislike brown, but the blue flash makes it gorgeous! I'd absolutely wear that! Wow, I'm not usually into browns but this one is really nice! i'm not usually into brown either but this one is really pretty!